I’m going to guess this book was researched almost entirely on the internet. That’s because it’s made up a little snippets of information like – weird beers, the most expensive beers, strangest beer ingredients etc etc. Which is kind of what ‘‘beer miscellany’’ implies, I guess. But the problem with internet research is it lends itself to falsehoods. For instance, the myth that IPA was created to stop beer from spoiling on the long trip to India. Yep, that’s in here – about four pages in too. Which doesn’t really give you much faith for the accuracy of the remaining 200-odd pages. Oh yeah, they attribute that quote about beer being proof God loves us and wants us to be happy to Benjamin Franklin, even though there is no evidence he ever said it. And these are just the errors I was able to spot on a quick skim. Because a skim all any decent beer geek would give this book – partially because of all the errors and partially because they’d know about 80 per cent of it already. 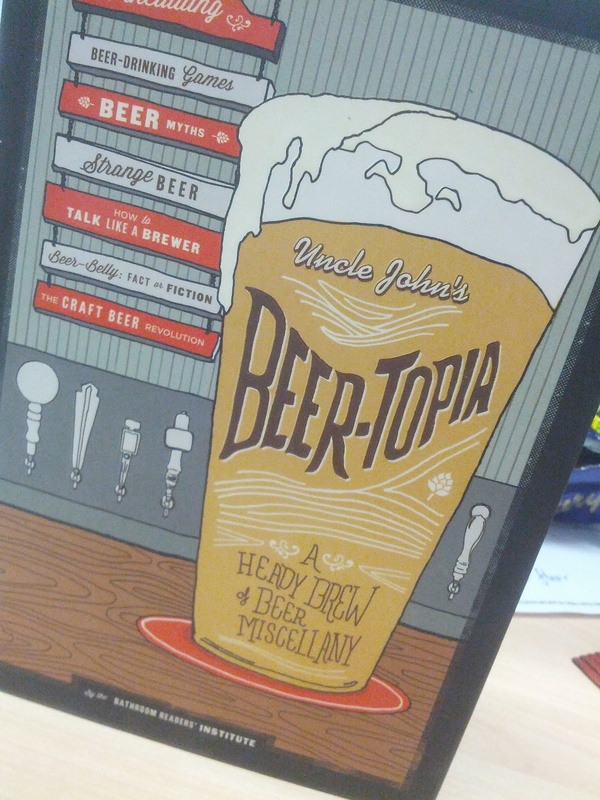 It’s really not a book for beer geeks at all. Nor is it a book for newbies looking for an introduction to beer. At best, I’d say it’s a book for people who aren’t really that interested in beer at all. After all, that’s who it feels it was written by. Save your money and just Google some beer facts. It’s probably what the authors did.